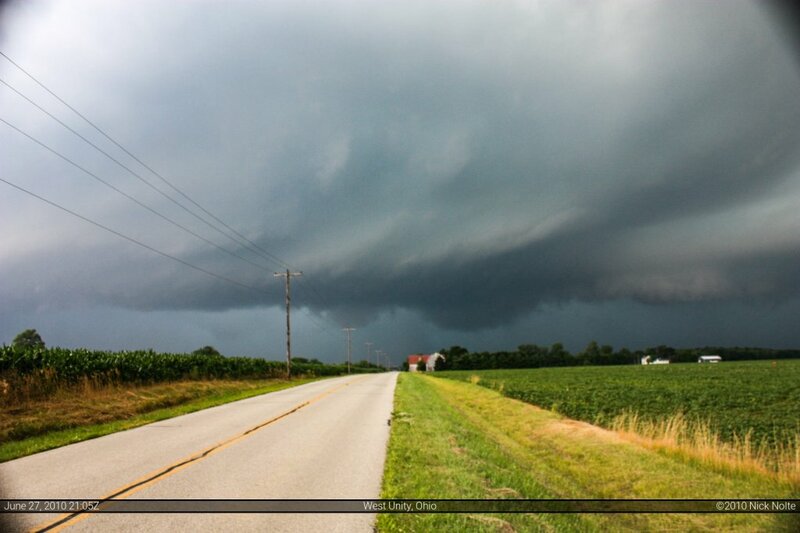 The second chase was a whim kind of thing as I went after a strong storm that was developing across northern Indiana. I shot down US 127 to try and intercept in Ohio, and as I crossed the border the storm went severe warned. Nothing too spectacular, it probably had some hail in it as it had that characteristic green tinge, there was some good cloud structure, but other than that it was just a regular storm. 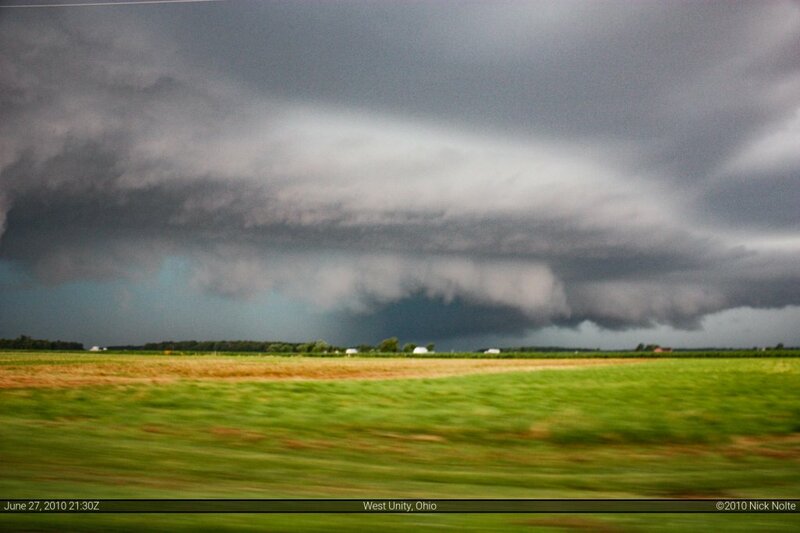 Two decent pictures from that, the first is just south of West Unity, OH and the second is south of Wauseon, OH.